The application fee, supply fee, and May 2020 tuition deposit must accompany the application form. Every effort will be made to accommodate your first choice of class placement. We maintain a waiting list for all classes and class openings are filled from this list in the order of contact date. 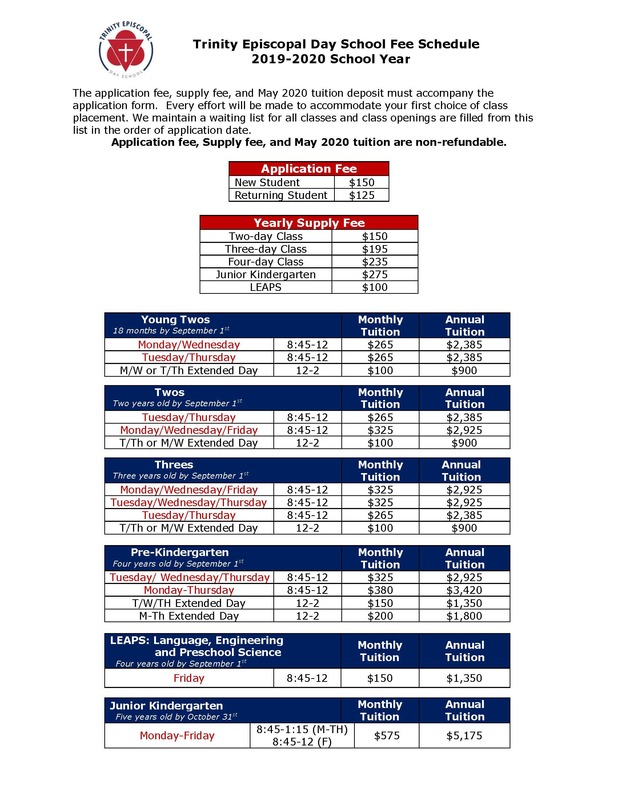 Application fee, Supply fee, and May 2020 tuition are non-refundable.